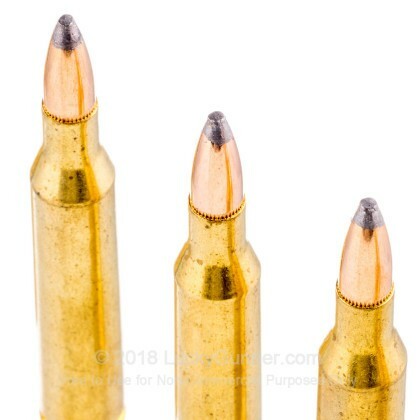 For more than one hundred years, the 25-06 has been a wildcat round. However, in 1969, Remington standardized this necked down 30-06 cartridge, making it into the round it is today. 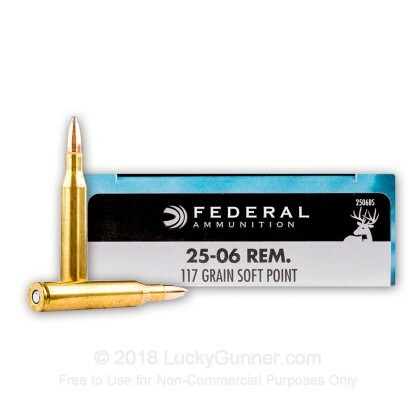 With less recoil than the 30-06, the 25-06 is more suited for those who are sensitive to the heavy recoil of the 30-06. 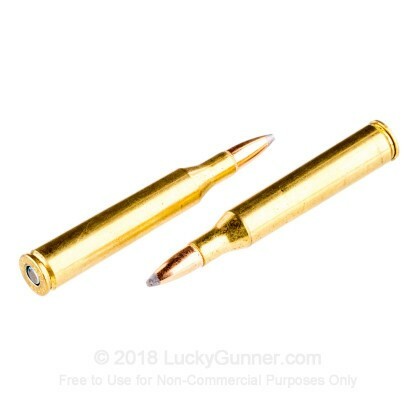 Take this round with you the next time you go hunting and you won't be disappointed. 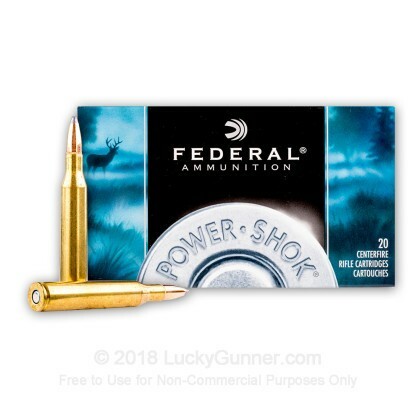 Since 1922, Federal has been providing ammunition all over America and has become one of the premier and most popular ammunition companies in the States. Headquartered in Anoka, Minnesota, Federal ammunition is proudly loaded in the USA using premium components. The Power-Shok line is designed to deliver the terminal performance needed for hunting applications at a reasonable price. 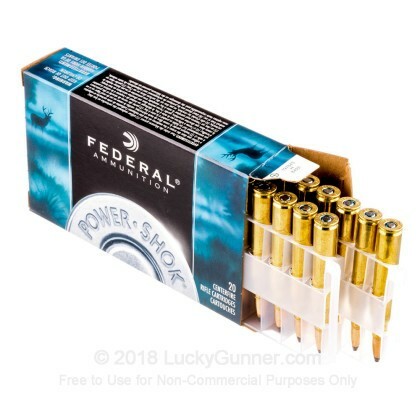 Each round in the box of 20 features a 117 grain soft point projectile that is loaded into a boxer primed brass casing that is re-loadable. These soft point bullets deliver the expansion and accuracy you need for for a successful hunting trip. 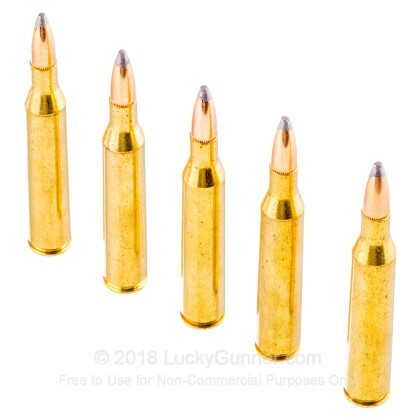 Firing at 3,030 feet per second, you won't have any problems taking down deer with these fantastic rounds.